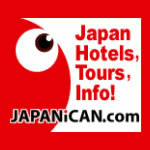 Hakuba Pension, Hakuba Ski Lodges and B&B. Over 80 choices available. Hakuba Village offers dozens of Hakuba pension, ski lodges, villas and B&B. These range from those with the most basic of facilities to luxurious, from Japanese style to faux-European. So there will always be a number of accommodation options to suit both your style and budget. 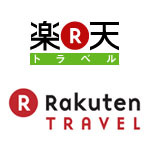 Please check out our selection below offering more than sixty choices of establishments – the largest listing of Hakuba ski lodges, pension and B&B options online. 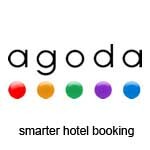 Aside from these we offer a wide choice of over 150 Hakuba accommodation options – hotels, ryokan, traditional inns, ski in ski out, and self-contained accommodation in Hakuba. 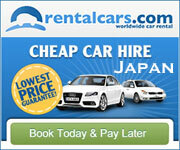 Most options can be booked online with immediate confirmation and no booking fee. 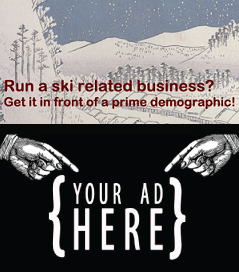 Or, if you prefer, just book an all-inclusive ski tour ex-Tokyo. Cancellations usually incur no cost if enough notice is provided. With so many pension and lodges in Hakuba how do you choose one? We’ve tried to simplify the choice for you by listing below some featured properties which are some of the more popular choices for foreign skiers in Hakuba. However we do encourage visitors to be a bit adventurous and try something new. Very popular with foreign skiers is Hakuba Pension Meteor a.k.a. 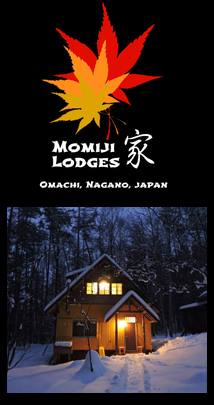 Lodge Meteor which is a long standing local Hakuba pension, owned by a local family for two generations. Also popular is Alupu Lodge right on the base of Happo-One and Grove Inn Skala featuring a cosy lounge with a library, a bar and a wood-burning stove. Looking to get right on the slopes? Penke Panke Lodge is conveniently located next to the Sakka High speed quad at Happoone, whilst Wind Jacket Lodge is only 250 metres from the Happo One ski lift as well the Hakuba night life. 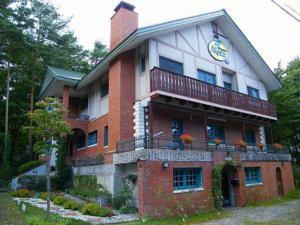 Hotel Petite Hamac is a 5-minute walk from Hakuba Happo One Ski Resort. The Lab is a large ski lodge located within 500 metres of the Happo-One lifts and Land Haus Dancru Netz has the the free Hakuba shuttle almost at the front door. Lodge Karunaju (aka Kalunajyu Pension) is a cosy lodge that offers free parking, free Wi-Fi access and a 24-hour Kashikiri (bath for private use). Pension and Bar Sidehill is somewhat similar, featuring a cosy lounge with a wood-burning stove, a 24-hour hot tub and an organic restaurant. 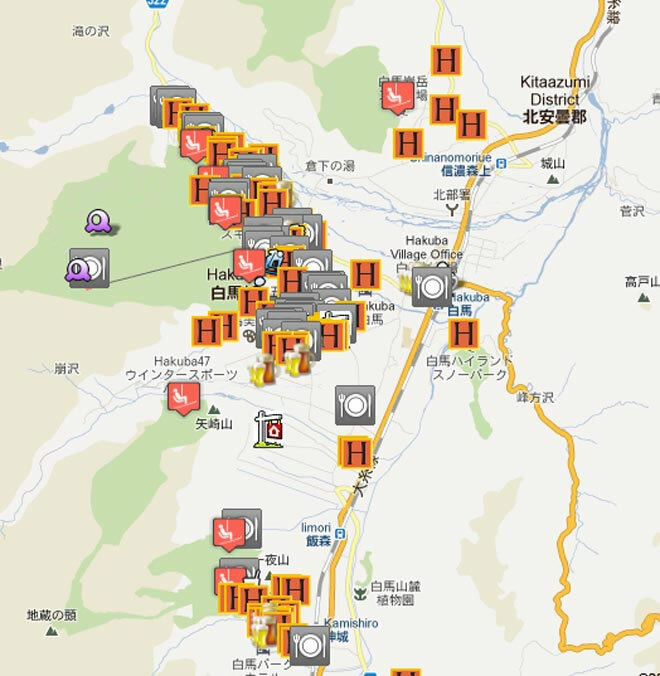 But keep scrolling – there are over over sixty choices below of ski lodges, pension and B&B options in Hakuba! Hover your mouse on the name of each establishment to get a full description and booking link. Alupu Lodge (aka Resort Inn Alp or Yama no Oyado Alupu) is well located right on the base of Happo slopes at Sanroku (see map). It features many amenities including internet access (wireless), television, coffee/tea maker, bar/pub, laundry service/dry cleaning, restaurant, WiFi, car parking, jacuzzi and sauna. Hakuba Pension Meteor a.k.a. 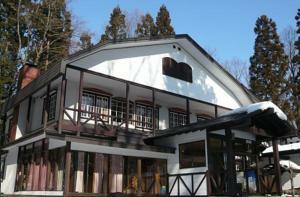 Lodge Meteor is a long standing local Hakuba pension, owned by a family for two generations. Very popular with foreign skiers. The Lab is a large ski lodge located within 500 metres of the Happo-One lifts in the Hakuba Valley. The lodge includes a big communal living area, fully stocked and serviced bar, a restaurant serving great value meals, Japanese style onsen bathing, a large sundeck, and a separate TV and games room (complete with Nintendo Wii). Resembling a Swiss chalet in the Japanese Alps, Land Haus Dancru Netz is steps away from the free shuttle to local ski resorts. The Landhaus offers simple rooms with air conditioning and heating. All rooms are fitted with an LCD TV, twin beds and a sofa, while shower facilities are shared. Free Wi-Fi. Lodge Karunaju (aka Kalunajyu Pension) is a cosy lodge that offers free parking, free Wi-Fi access and a 24-hour Kashikiri (bath for private use). Guest rooms offer both air conditioning and heating facilities. Each room is equipped with a fridge and a flat-screen TV. Penke Panke Lodge is the best value lodge in Hakuba conveniently located next to the Sakka High speed quad at Happoone – the biggest ski resort in Hakuba. Penke Panke Lodge is in the heart of it all, walk to the lifts, bars and restaurants. 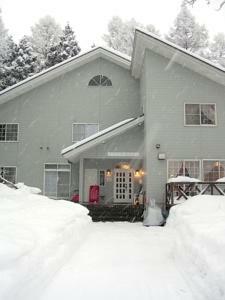 Pension Wind Jacket Lodge is only 250 metres from the Happo One ski lift as well the Hakuba night life. Newly renovated western style accommodation in a premier location. Complimentary breakfast daily. Just 10 minutes from JR Hakuba Train Station (see map) on the free shuttle, Grove Inn Skala (aka Skala Inn) features a cosy lounge with a library, a bar and a wood-burning stove. Rooms have an LCD TV and a private bathroom. Grove Inn Skala has both Western rooms and Japanese rooms, which have traditional futon bedding on a tatami (woven-straw) floor. Western/Japanese breakfast sets and a multi-cuisine course dinner are served at the dining room. 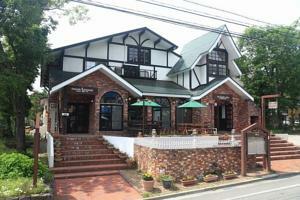 Petit Hotel Pension Hamac is a 5-minute drive from Hakuba Train Station and Happo Bus Terminal. A 2-way shuttle to both station and bus terminal is provided. It offers a sento-style (non hotspring) bath, free parking and free Wi-Fi access. Hotel Petite Hamac is a 5-minute walk from Hakuba Happo One Ski Resort and a 15-minute drive from Hakuba 47. Free shuttles to surrounding ski resorts are available, and the schedule can be requested from the front desk. The hotel serves western dishes for breakfast. 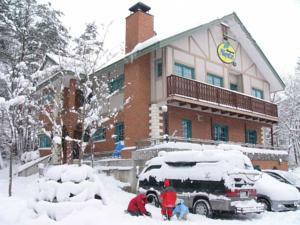 Snowbird Pension is located 350 metres from Goryu Ski Field. This completely non-smoking accommodation offers simple rooms with free Wi-Fi and a private bathrooms. Ski storage, free on-site parking and luggage storage are provided. Guests at Pension Snowbird can sleep in Western beds or try a Japanese-style room with traditional futon beds on a tatami (woven-straw) floor. All rooms have an en suite bathtub and a TV. 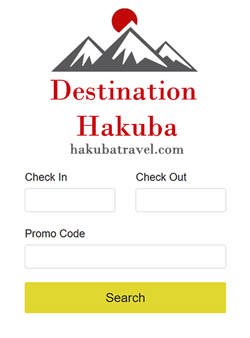 Search Hakuba Pension and Ski Lodges with our valued partners – get instant confirmation!